The notion that someone would call the 37-year-old Alabama native such a thing makes him laugh. But it’s true. 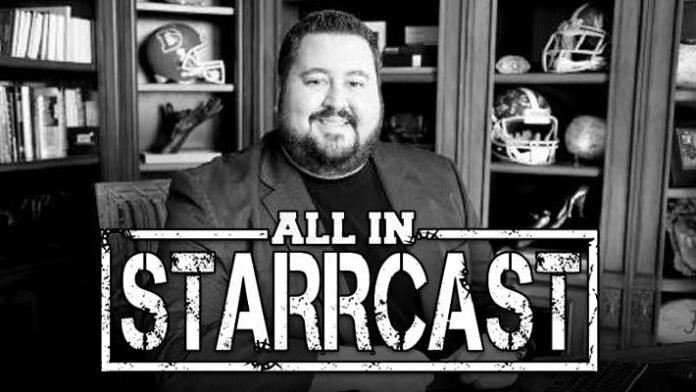 His podcast “Something to Wrestle with Bruce Prichard” does more than 3 million downloads per month. He also co-hosts two other successful wrestling podcasts, “83 Weeks with Eric Bischoff” and “What Happened When with Tony Schiavone.” His contacts list would piledrive anyone else’s into the canvas. In October, Thompson is marrying Megan, who just so happens to be Ric Flair’s daughter, for crying out loud. What screams wrestling more than the “Nature Boy” calling him son?